A new collection from Nike means more styles you (and your closet) will love. This time, we have fresh, cool colors in on-trend styles. 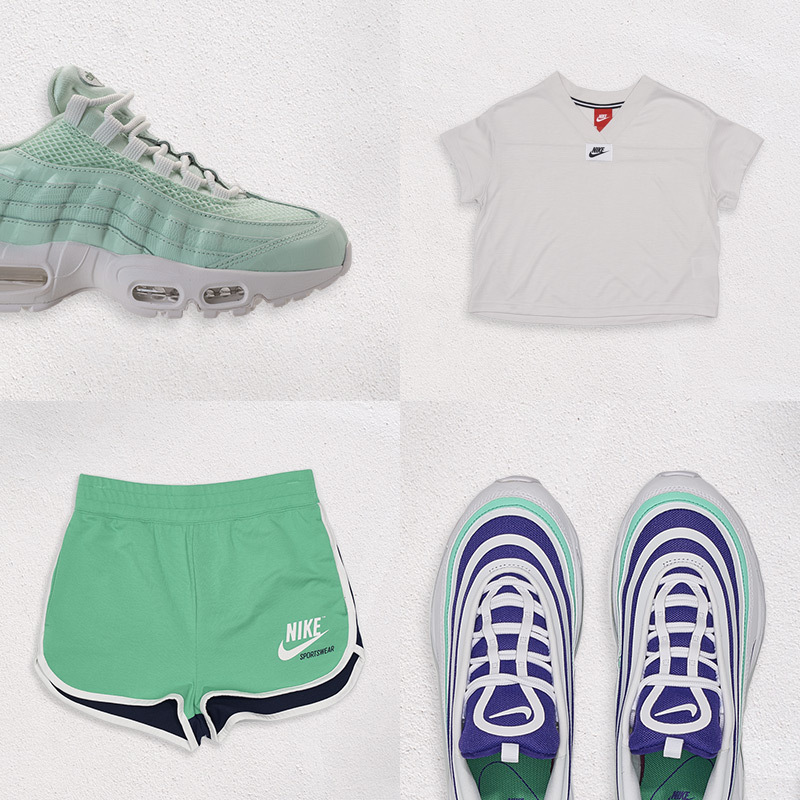 From chunky dad shoes with the Nike Air Max 97 Ultra and the Nike Air Max 95 Premium, to comfy apparel like the Nike Sportswear Archive Shorts and Nike Sportswear Crop V-Neck T-Shirt – you’ll be rocking these styles from head to toe all summer long. Not to mention they can mix and match with just about anything, so check out more Nike styles and outfit inspiration on our Pinterest board below and tell us what you’re digging lately on @finishlinewomen.